ALL RIGHTS RESERVED. No part of any information or images located within this site may be reproduced, stored or transmitted without my permission. What a wonderful shoe for Spring! 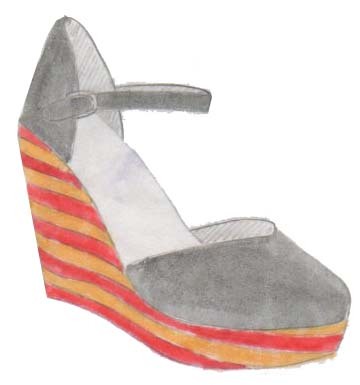 I love the striped wedge heel... such a unique detail! @Haaute World, me too I'm wishing to be on spring to wear sandals!